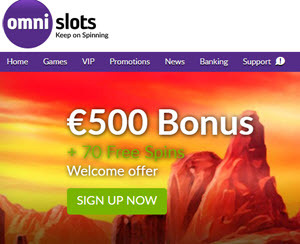 Omni Slots Casino no deposit bonus codes - Free Slots - 50 Free Spins! We know the question ‘'why should I bank with this casino?” is one of the most popular questions most gamblers or newbies ask while choosing the casino of their choice. A lot of individuals might settle for a particular casino for reasons like huge bonus, popularity, lots of promotions etc. but the years of experience we have had in casino gaming has taught us that banking on a casino due to a certain privilege that the casino offers is never the right choice. Before settling for a casino ensure you check out all the features that would affect your gaming experience in the casino. We would like to use this review to bring to your notice all the features that the Omni slot casino offers with a final verdict as to if the casino would provide you with the gaming experience you desire. Omni slot casino was created in 2015 with the sole aim of providing its players with a platform that would keep them spinning for a good deal of time. The gaming platform didn't hide its intention from players and even added the words ‘'keep on spinning” to its casinos' logo. The platform is powered by a good deal of software providers such as Microgaming, Netent, Amatic evolution, Betsoft etc. New players are entitled to a €500 welcome bonus with lots of free spins. The welcome bonus is shared among your first two deposit. Your first deposit would offer you a €300 welcome bonus and a good number of free spins while a second deposit would attract a €200 welcome bonus with lots of free spins also. Their welcome bonus would certainly keep you spinning for a while but not for as long as the Omni slot intended. Omni slot casino offers regular players a lot of promotions and weekly bonuses with a VIP group for players seeking added advantage. With the weekly and monthly promotions regular players get to enjoy at the site, you would certainly make fewer deposits and more withdrawals. Play at OMNI Casino Now ! Clicking on the sites URL would take you to a home page that has an excellent graphic with a lot of features boldly written at the top to help you navigate your way through. The home page boldly displays the €500 bonus that the casino offers to new players. The Omni slot platform designers made sure players don't get stuck looking for the signup button by placing it under the boldly written welcome offer. With the easy to navigate platform created by the site designers, we had no issues finding our way around the casino. The casino’s homepage offers players almost all the features that would be required from a casino. We know you would be wondering why we said ‘'almost”; that’s because there is no demo free play version without registration. It’s a fact that the casino’s site would grant you access to a lot of features but we expected the Omni casino to have known how important demo games without registration are to players. The absence of the demo version might make some players shy away from their reels because most players would like to play the casino games before registering. Great gaming platform, great features but the absence of a demo version without registration made us deduct a point. The collection of games available at the casino is very exciting and got a good remark from our reviewers. The Omni slot casino lived up to the name attached to the platform by providing an incredible list of slot games. 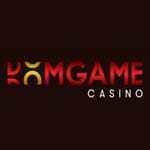 Players are offered over 600 slot games from different software providers. The slot games are arranged according to their genre so you don't need to worry about finding your way around the platform. You won’t find up to 600 table games in the Omni slot casino but you would find a collection that would certainly suit your gaming expectations. The table games available at the casino are Baccarat, roulette, craps and poker. There is also a live casino available for players to explore. Running into a scam site when in search of a gaming platform is like every gamblers worst nightmare. 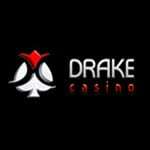 Players hardly register with sites that do not have a certified licence from a credible gaming authority. The Omni slot casino made it obvious that they are very familiar with this fact by providing certification from Curacao gaming authorities, Itech labs and gaming labs. Most games at the platform are provided by developers who are very familiar with the risk of running a casino game that is prone to rigging. You can rest assured that the games provided are running with an RNG. Players can register at the casino without fear of loss of data or cyber-attacks due to the SSL encryption that is used to secure the casino's database. Players are provided with a remarkable amount of options for Carrying out a transaction in the casino. The only notable transaction option not provided by the platform is PayPal. You can transact via Bitcoin, Visa, Neteller, Bank transfer, Neosoft, Paysafecard etc. next to each transaction option, a link is attached for players to get the necessary information as to the time frame each of the transaction options would take. The Omni slot casino deserves a 5/5 rating for the transaction options they provide to players. Contacting the Omni slot support can be done via any method you can think of. Their live chat service is available 24/7 for players to make any complaint. For players who love using social media platforms, you can contact the support team via a good deal of social media platforms. You can also drop a message to the support team via an email for a 24 hours response or check out the FAQ section available to players. Don’t miss out on all the exciting opportunities that the Omni slot casino offers. Although a lot of complaints were recorded about redeeming their first deposit bonus but if you go through the terms and conditions attached to the welcome bonus, we are certain you would get the service you desire. Our overall rating for the casino is 4/5.